I have several friends who are either pregnant or have very small children. It’s that time in our lives when we’re settling down, having kids, and becoming families. It’s an exciting time, for them and as well as for those of us who will be helping out when the little one comes along. I love gifting new parents with homemade presents for their darling babies, especially gifts that will grow with the child. 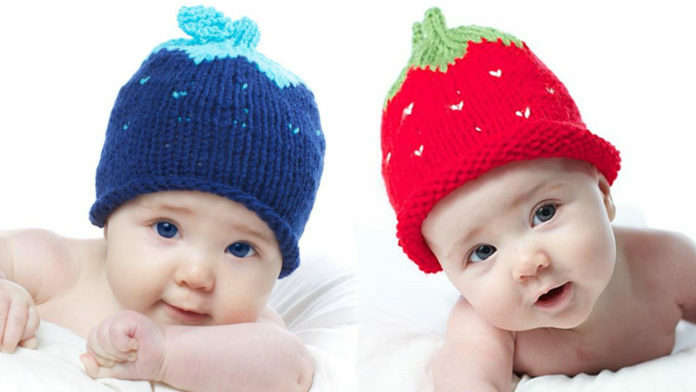 I was looking for hat patterns the other day for a friend’s baby and I came across the cutest knitted berry hat. Now, I’m not as well-versed in knitting as I am crochet, but I do have several friends that knit and if I needed help, they’d be more than willing to walk me through it. This pattern isn’t beginner friendly, but if you’ve spent some time working with fiber, you should be able to make this work for you. You’ll need to know how to use circular needles (the bane of my existence), knit on double pointed needles, knit two strands together as well as use two colors, how to read a chart, and how to weave in ends. If you’re not exhausted by this point, my hat is off to you. Of course, with this hat, you’ll want to use soft materials, in worsted weight yarn. Whatever sort of berry you’re making, real or imagined, be sure the colors for the leaves and fruit complement each other. 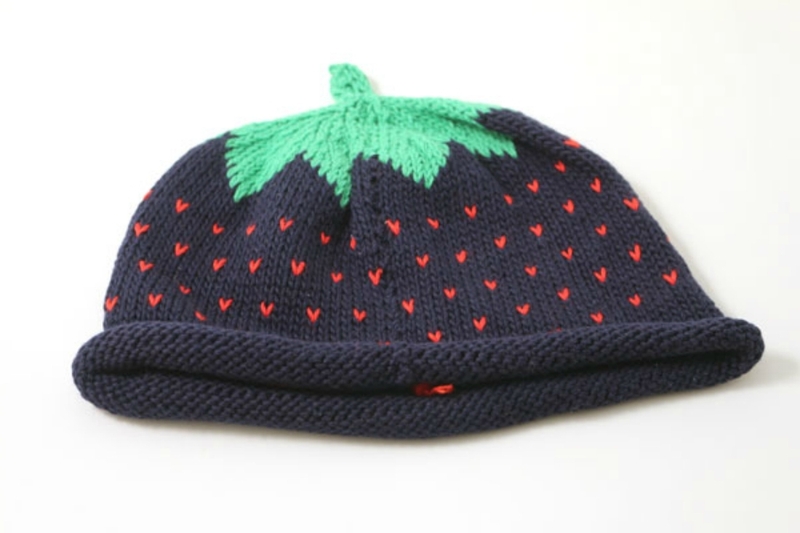 You can try red and green for a strawberry or raspberry hat, a dark plum and green for a blackberry hat, or a bright orange and softer green for a more imaginative berry. There is also a note in the pattern that 100% cotton does not always wear well, and something mixed with wool will stretch and shape much better. 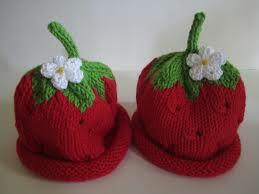 If you want to make a bigger hat, the pattern includes instructions for re-sizing in multiples of 8. 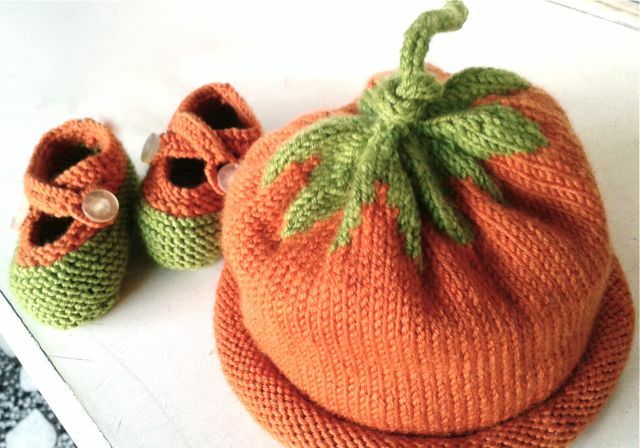 You’ll only be using the knit stitch with this hat, and five stitches together should equal one inch, if you want to try the gauge before starting on the hat. Materials for the project are 16″ circulars (US7 and US8), 5 double pointed needles (size US8), a stitch marker, a yarn needle, scissors, a measuring tape, and of course, worsted weight yarn in whatever colors you prefer. If this sounds like something you’d love to make for the little one in your life, whether you’re a family member or a friend (or the parent! ), the written pattern, complete with chart, directions, and photos, is available as a free download from Michele Sabatier on Ravelry. If you have not yet signed up for a free Ravelry account, I highly recommend joining. There are loads of free patterns as well as for-purchase patterns, and the search engine can be specialized to find exactly what you want for your next project. You can even store PDF patterns in your own personal library and keep track of what you want to make, what you have made, and how easy the patterns were. I love browsing the smaller patterns and working them up to bust my yarn stash.